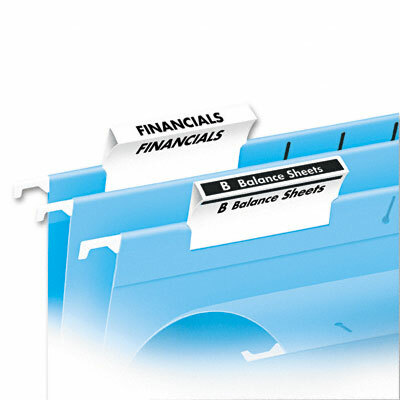 Create an organized filing system that you can view from the top or front. Durable one-piece tabs eliminate the need for separate inserts or holders. Format tabs with free downloadable blank or predesigned templates. Create an organized filing system that you can view from the top or front. Durable one-piece tabs eliminate the need for separate inserts or holders. Format tabs with free downloadable blank or predesigned templates.